This is the second of two courses created for 'Enjoy learning' at Bolton. The aim is to look at how Europe's identity emerged and changed over time. Week 1: Is Europe really a continent, and how did it get its name? 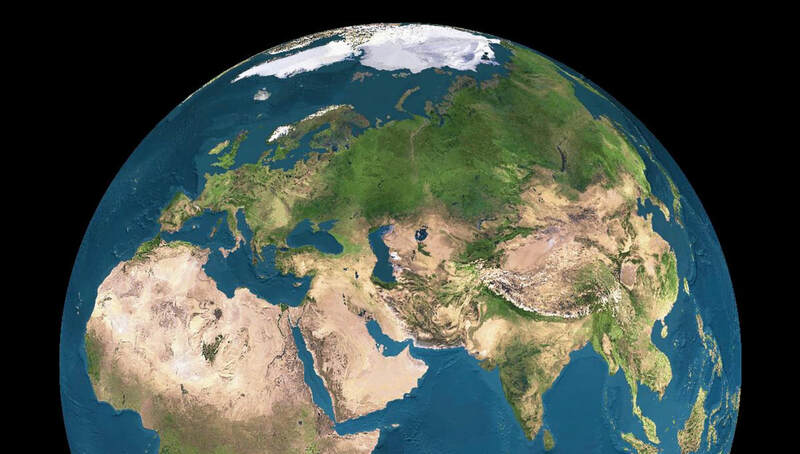 We started by looking at a satellite map of Europe and Asia - Eurasia. It did not take long for the group to conclude that the area we call Europe is simply the western extension of the huge continent of Asia. It has no distinctive geographical features that make it automatically recognisable as a vast land mass - a continent. Europe's continental status comes not from its size, but from its human geography. Geopolitical events since the 1500s have led to this area, and the languages spoken in it, dominating large areas of the globe. Although individual countries in this area have been at war, when faced with outside opposition, for example from the Turks, the habit of identifying 'we Europeans' was already current in the 1600s. 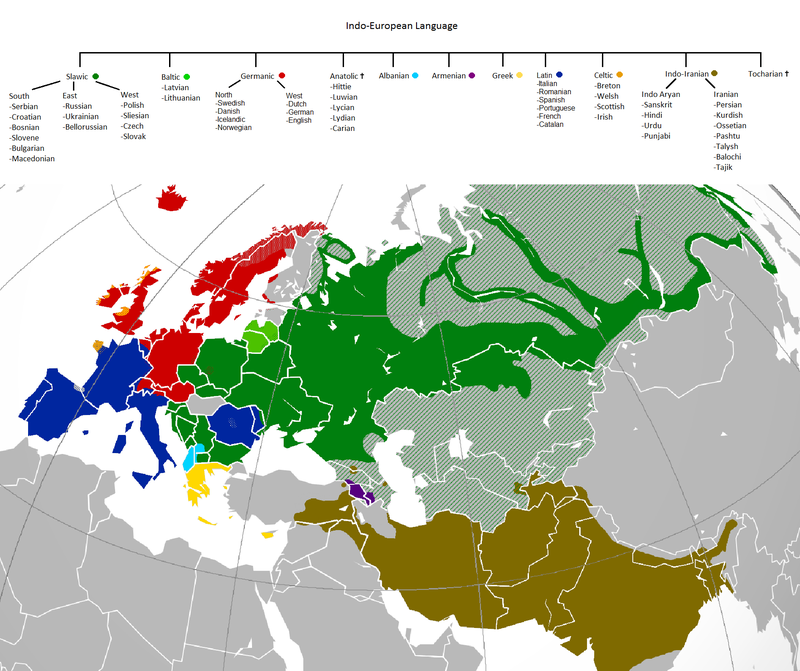 Most of the languages spoken in Europe belong to the same language family. This excellent map is worth a closer look. The coloured areas show languages that share a common, distant ancestor, often refered to as Proto Indo European. The grey areas are not from this family. They are Saami (Finland), Hungarian, Turkish and Basque. Hungarian and Turkish are easy to account for as we know the historic events that led to their arrival - the Magyar invasions of Hungary the 900s CE and the Turkish advances around the 1300s. Saami belongs to the Finno-Ugric branch of another major language family, the Uralic language group. Basque, on the other hand, cannot be linked to any other language. It is currently suggested that it is a survivor from before the arrival of Indo-European languages, perhaps the oldest language in Europe.